Home > Blog > How Does a Chimney Work? How Does a Chimney Work? As homeowners, there are tons of to-do’s to cross off your check list. There are weekly, monthly and yearly maintenance reviews for absolutely everything in your home. It’s no surprise that the chimney is towards the top of the list. However, you probably only use it a handful of times throughout the year and might not think it needs too much attention. More often than not, the problem of low heating in your home is because of a faulty or run-down chimney. Failing to maintain your chimney can result in serious consequences. With a lot of different styles and options, it’s easy to get confused. The best way to get to the root of your heating problem is to understand how your chimney works. A chimney can consist of up to 22 parts. 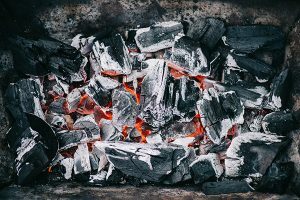 It’s good to know how these parts function and the general maintenance they require to help make sure your chimney is in proper working condition. The crown is located at the top of the chimney on the outside. It protects your chimney from water and structural damage. Without a good crown that has been sealed, the chimney does not have any protection from rain and snow. A flue is a duct, pipe, vent, or chimney that allows the passage of gases from your fireplace to the outdoors. For a safe flue, a stainless-steel lining must be used to ensure minimal accumulation of flammable debris. A flue without a lining is considered a fire hazard. This is the area where the walls slope so that the byproducts of combustion can move into a smaller space without causing a back draft. A damper is the lever activated doors within your chimney. It needs to be opened when the fireplace is in use, but closed when not. It helps prevent energy loss and rain water from entering your home. Located behind the damper, the shelf catches falling debris and rain water. It also helps with the transition of large volumes of small into the small chimney. The space below the damper and above the firebox is known as the throat. This is where the fire will first pass through. A firebox is the area of the chimney often in need of repair. It’s the section where a person builds the fire and it should be lined with firebrick. Placed in the middle of the firebox, this door can easily allow you to remove ash from your firebox and into the ash dump. This area lies directly before the ash dump door. Open the door and the ash will fall through. Located below the ash dump is the ash pit. This needs to be emptied frequently to prevent accumulation of flammable materials. Made of concrete, this is the horizontal surface under the ash pit. The chimney needs to be securely placed in correspondence to the footing. The foundation is the lowest part of the chimney walls, made of heavy duty brick or cinder block. This is the structural support for the entire chimney and is exposed to hot ash. It needs to be well-maintained and sturdy. It all begins with airflow. As part of the stack effect, hot air rises because it’s less dense than cold air. 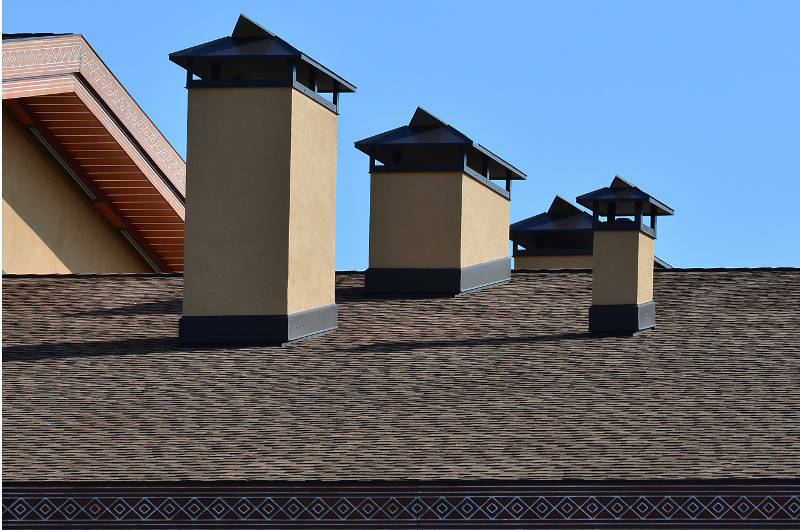 In the case of chimneys, instead of removing hot air, their role is to remove hot gases from the heating unit inside your home. As the hot gas rises through the chimney flue and fresh air enters the appliance it creates a difference in pressure known as a draft. The hotter the gases are compared to the outside temperature, the stronger the draft will be. The height of the chimney will also effect drafts. The taller the chimney, the stronger the draft. The volume of fresh air that enters the appliance is called flow. If a strong draft is created from the chimney then a strong flow of fresh air will enter the heating unit, making a hotter fire. If an unwanted draft or an unpleasant smell occurs when your fireplace is not in use, consider a chimney pillow. These pillows look like plastic balloons, come in a variety of sizes, are easy to set up and work extremely well. Chimneys are not always associated with fireplaces. 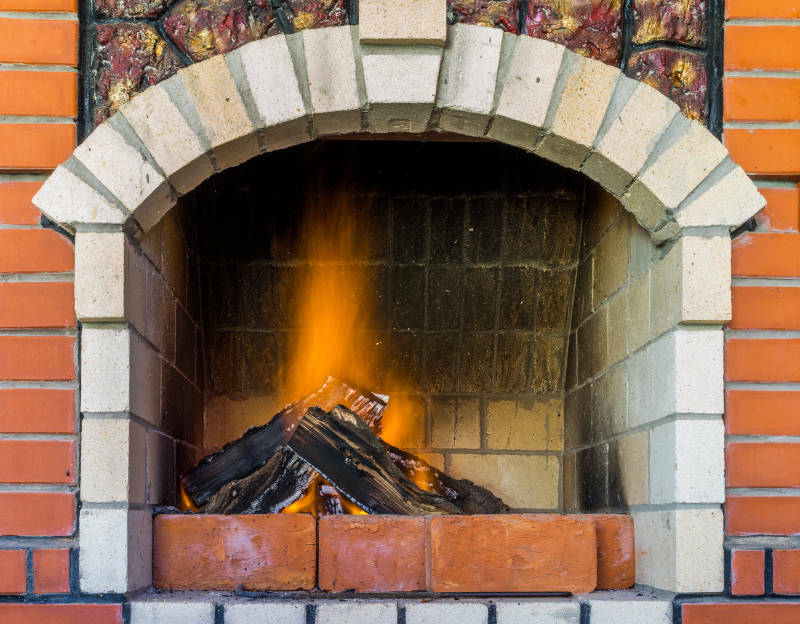 Any heat source that burns fuel, whether it’s wood, oil, gas or coal, has a chimney. 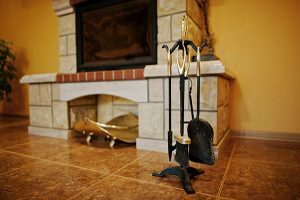 A gas furnace chimney works in the same way as a wood-burning fireplace chimney does. Built with brick or stone, traditional masonry chimneys include a firebox, in addition to a flue. A chimney like this will also feature a crown at the top to prevent water damage. Prefabricated chimneys have a firebox and cap, but they vent through a pipe, not a flue within the chimney. An occasional repair on any household structure is natural. Parts get weathered, used and sometimes they’re just made poorly to begin with. A common repair for chimneys is to replace the damper. Since they’re exposed to heat and soot, they’ll occasionally break or warp. If a stainless-steel flue liner is not installed, flue repairs are often seen due to cracked sections of the flue. A chimney crown replacement is another typical repair for chimneys. If this part becomes damaged, it could allow water to seep inside the chimney or bricks and cause damage from the inside out. 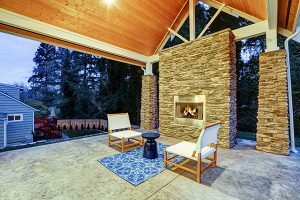 A chimney is a complex system that many homeowners often overlook. If not properly maintained, it’s also one of the most dangerous systems in your home. Knowing the anatomy of your chimney, the way it operates and its proper functions could save your home and life. Simply inspecting a chimney by shining a flashlight towards the roof will not show you what you need to know. Take the time to understand your individual chimney and learn how it works. Knowledge is power. If you ever have any questions or concerns about your chimney and its condition, you can count on Early Times to diagnose and solve any problem that you may be having. From a simple cleaning to tuckpointing repair, we do it all. Since 1985, we’ve been making sure Chicagoland homes are clean and safe. Get a free quote now for any of our chimney services. Why Doesn’t My Fireplace Work? 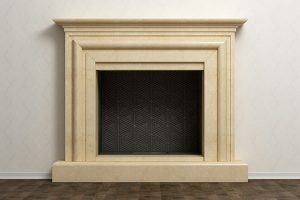 Can I Have a Fireplace without a Chimney? Are Fireplace Ashes Good for the Garden? Since 1985, Early Times has been Chicagoland's most trusted chimney company. Thousands of satisfied customers have trusted Early Times for everything from maintaining and repairing their chimneys to home services like awnings and dryer vent cleaning. We offer Chicago and the surrounding suburbs an unbeatable value for their money. Let's get started on your project today by getting a free quote or by calling us at (877) 737-6600. Getting a free quote from Early Times is fast and easy! Don't Forget Your Free Quote! Early Times makes it fast and easy to get a free quote for your project! That's why we're the most trusted chimney and home services company in Chicagoland.